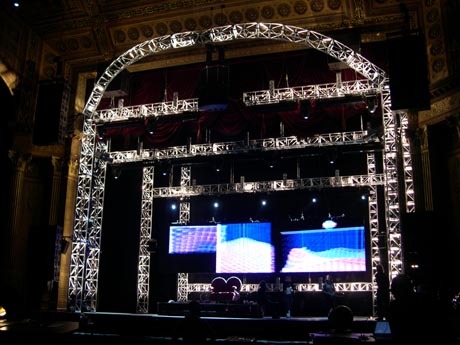 CLS have supplied the new theatre production of We Will Rock You with truss, truss, truss and more truss! We Will Rock You has been the No.1 selling show in London with a standing ovation every night since its opening in May 2002. The show is playing at Melbourne's Regent Theatre. We Will Rock You is the result of a unique collaboration between Queen, Ben Elton and an internationally renowned creative team. It features features 24 of Queen's greatest hits including "We Are The Champions", "Radio Ga Ga", "Bohemian Rhapsody" and of course "We Will Rock You".